Original article by Elizabeth Reese and edited by Susan Morris. Herbert George Robins was the eldest son of a merchant, George Robins and Martha Ann Emptage and was born in Margate, Kent on 18th March 1867. He was educated by a tutor at the Collegiate School, Margate. 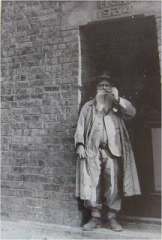 His first employment was as a joiner in 1882. But he had a yearning to go to sea, which his mother was against, so as a compromise he immigrated to Australia in 1886. During his time there he worked in a timber yard, then as a builder and then had a short stint with the Queensland Police. In 1892 Herbert arrived in the Cape Colony in South Africa and made his way to the alluvial diamond diggings in Griqualand. In 1893 he went to Matabeleland with some of the first wagons following Major Geeldadam’s column during the Matabeleland war. 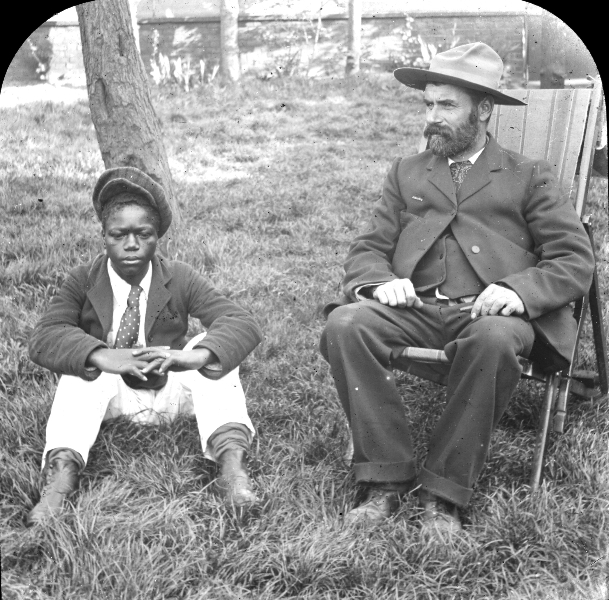 Herbert was granted a farm on the pioneer road 30 miles from Bulawayo. During the Matabele rebellion he served as Captain in the Bulawayo Field Force. In 1898 he was engaged with the Mashonaland Agency to report on the coal in the Wankie area. 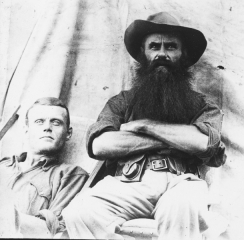 In 1902 he was with the Tanganyika Concession to prospect in Congo Free State, where he discovered and mapped the tin belt. He also did bacteriological work as an inspector of sleeping sickness. During 1911 – 1913 he made an exploratory and prospecting expedition on behalf of the Benguella Railway Company in North East Angola. In 1913 his contract expired and, having accumulated a fair amount of money, he retired to his scientific instruments on his farm ‘Little Tom’s Spruit’ named after a hunter called Tom Saddler in the Wankie district of Southern Rhodesia. Herbert had secured ownership in 1912 but he found the farm too small to run a cattle ranch so, in 1915, he bought the farm next door, ‘Big Toms Spruit’. He also acquired another farm and finally had some 26,000 acres of land. He put a stop to shooting and took active steps to stop poaching on his land, which had been a hunting ground because of the large variety and number of game and developed a large private zoological park. A government gazette issued on 24th February 1928 announced that a 5000 square mile (14,600 sq kms) tract of land was to be established as Wankie Game Reserve. Herbert’s land lay to the north of the Reserve. He was a determined defender of the Wankie Game Reserve against local farmers who urged the Government to exterminate the game and open up the country and he fought continuously for the preservation of African wildlife. 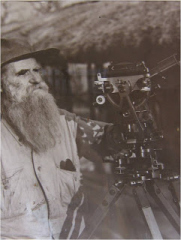 As the years passed Herbert received increasingly numerous requests from people to view the game on his farm and in 1934 fearing that ‘Tom’s Farms’ would be sold on his death to become a shooting box, he offered to bequeath it to the Southern Rhodesian Government on condition that it be maintained for all time as a game sanctuary. The offer was accepted. Herbert studied many sciences as a hobby and was a Fellow of more than half a dozen societies, including the Royal Astronomical Society. He very much enjoyed his telescope and built a tower in which he could use it and had marked on a square frame all the longitude and latitude markings. His eccentric manner, his large white beard and his somewhat pedantic interest in the expensive scientific instruments which he acquired gave rise to exaggerated reports about him. It was said that Herbert was a recluse who had shut himself off from civilization and company, warding off intruders with a pack of Great Danes. Herbert George Robins died on 27 June 1939 aged 72. His 26,000 acres are now known as Robin’s Camp Sanctuary which, together with the Wankie Reserve, forms the Hwange National Park. It provides facilities for people to observe and enjoy the abundant wildlife and birds.